The IVP vertical in-line pump design is available in 28 hydraulic sizes and with a split coupled configuration. It is engineered to allow direct connection to the pipelines while using a reduced space. Its design facilitates maintenance, as the replacement of the mechanical seal becomes fast and simple without disconnecting the pump from the pipeline or removing the motor. 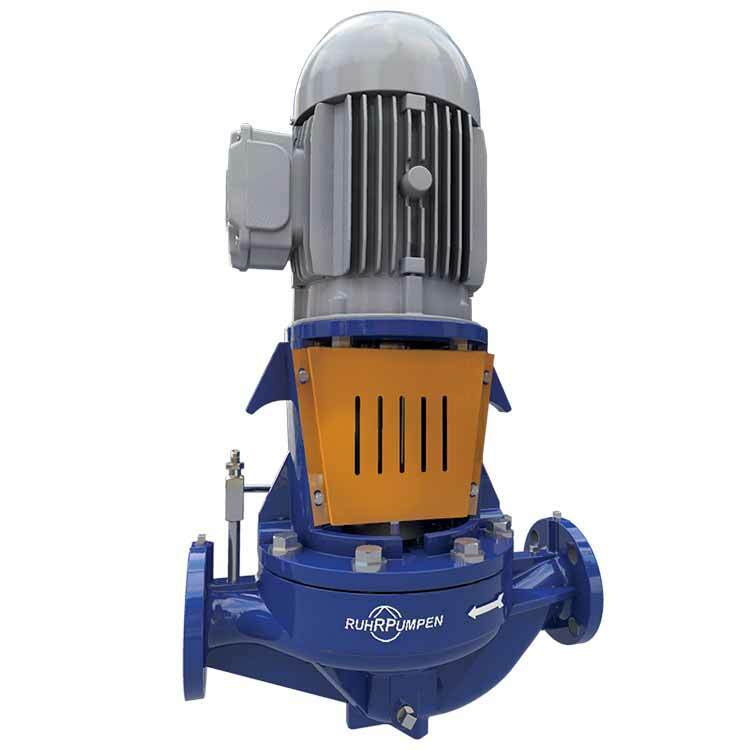 Ruhrpumpen's IVP vertical in-line pump design comes in 28 hydraulic sizes. It allows direct connection to the pipelines, which reduces installation costs with a compact design. The IVP pump line is available in both configurations: split coupled and close coupled (see IVP-CC in-line close coupled pump). The IIL & IVP in-line pumps are available as fire protection pumps.